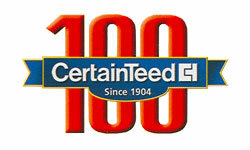 With more than 100 years experience manufacturing vinyl products, CertainTeed is a company you can trust. As one its best selling product lines, Bufftech has everything you need for vinyl fencing. Are you looking for a neutral color that will blend well with its environment? Natural Clay is a fantastic option for vinyl fencing and the authentic CertaGrain wood grain texture is sure to fit any aesthetic. 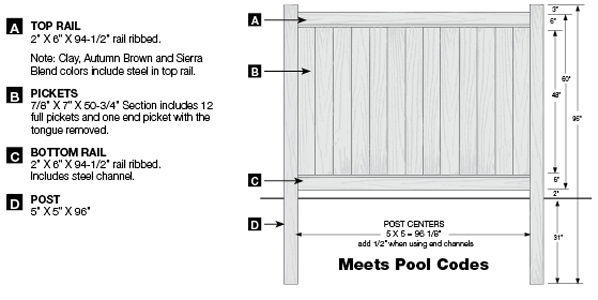 Chesterfield vinyl fences come in 8' sections which means more fence and less installation time. 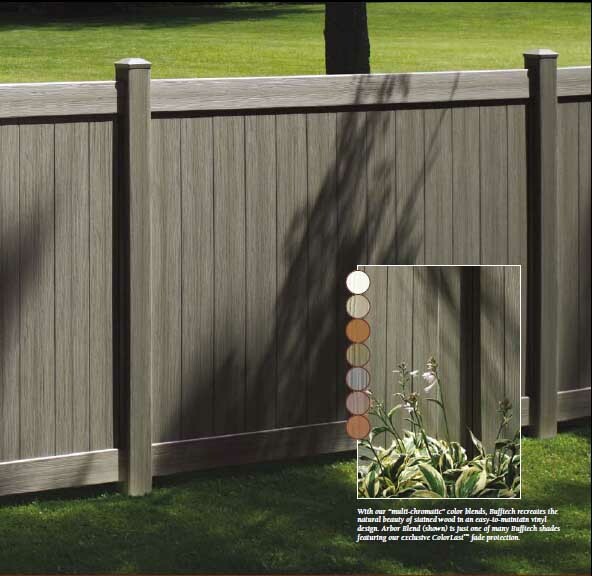 This Natural Clay vinyl fence will never rust, rot, chip, or crack. 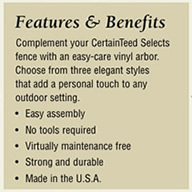 Bufftech's ColorLast technology and product guarantee also ensure Chesterfield vinyl fencing won't fade in the sunlight. The vinyl in every fence section is reinforced with a steel bottom rail and each fence post has thick walls so the panels are as strong as possible. Privacy in style. Neutral colors and natural textures. Discounts and deals on large orders. 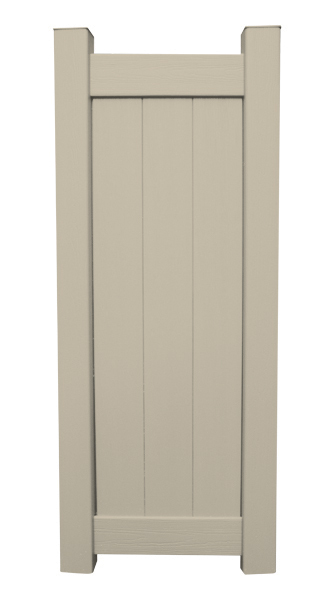 Get a fence quote on Bufftech Chesterfield Natural Clay vinyl fences.